I am so excited about today’s post. 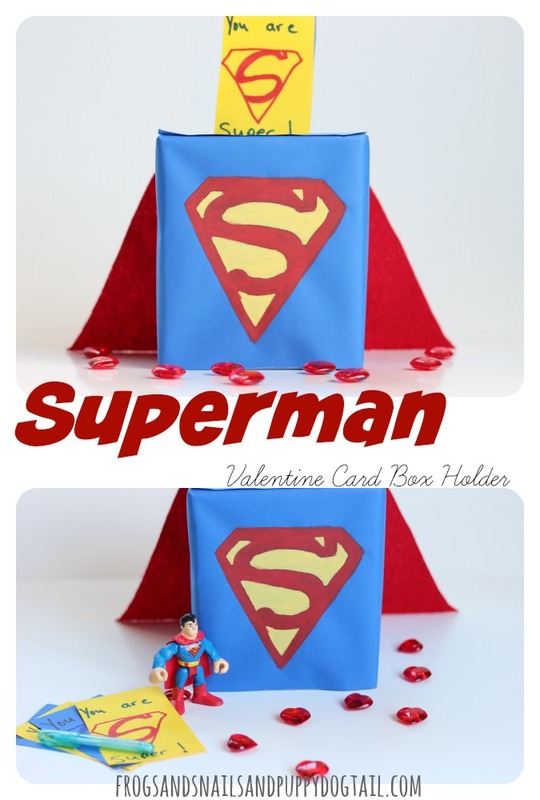 I made a Superman Valentine Card Box Holder for my oldest son to take to school. 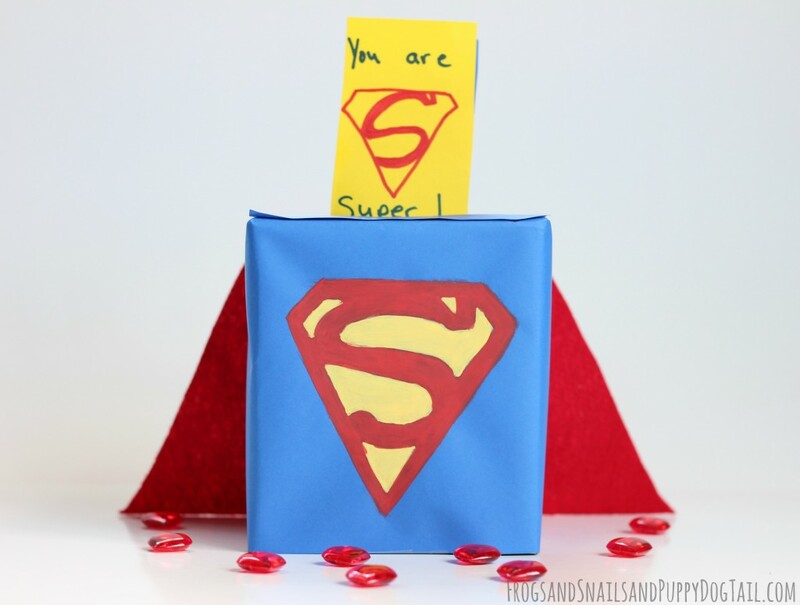 It is part of the Valentine’s Day with Plaid Crafts campaign. 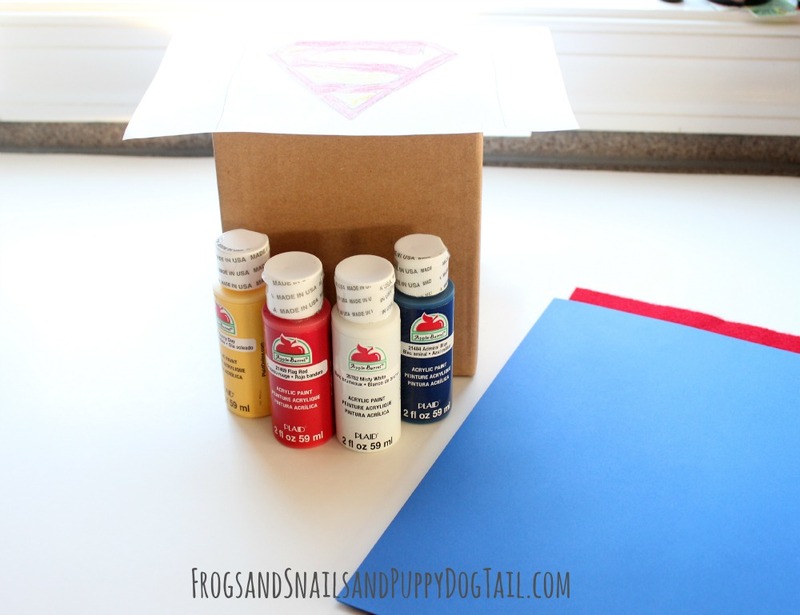 I just love how this little cardboard box turned out! We love Plaid paints and use them often. Being inspired to turn an ordinary box into an “out of the box” idea was just a great excuse to pull them out. To start, I asked my husband to to sketch out a Superman image for me. You can grab one online I am sure. 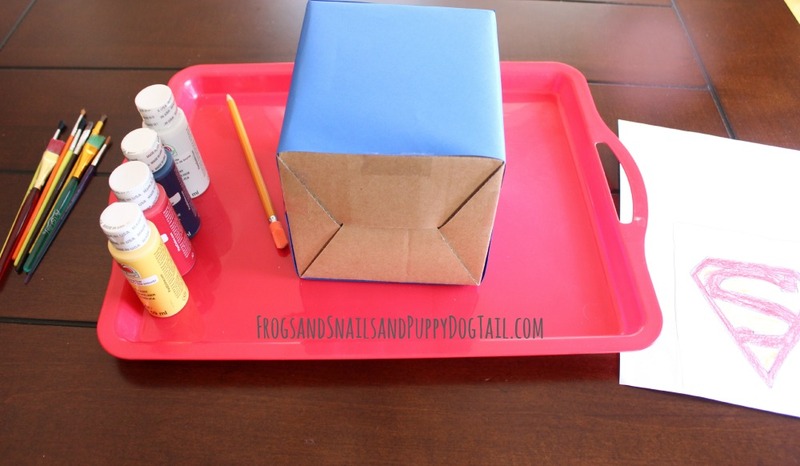 I took my box and covered it with blue paper. I used a glue stick and tape. Now that the box was mostly covered, I remembered I needed to add a slit for the cards. So do this first. Add a slit with a knife or something similar to the top of the box. Make it large enough for cards to slide in. Then cover with paper and cut a slit in the paper. Now on to painting. 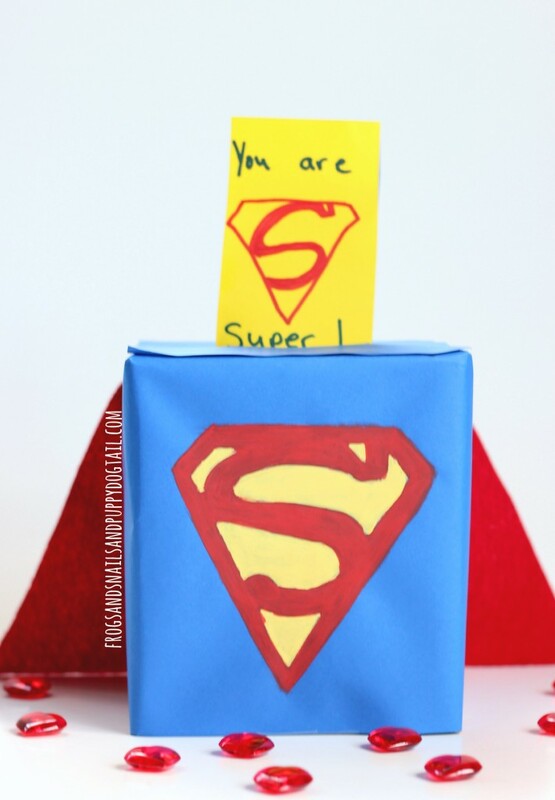 Take a pencil and sketch the S symbol onto the blue paper. 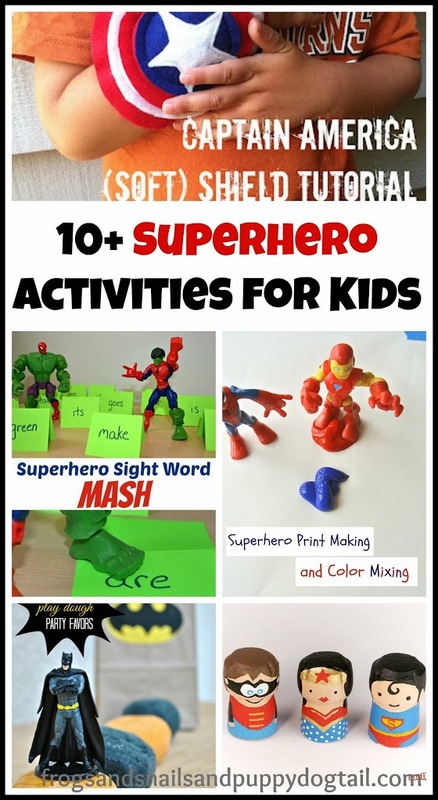 Find a paint brush you like and start painting in the S.
The S needed two coats of paint before it was ready. Now to add the superhero cape. I took one piece of red felt and traced a cape with a pencil. I then cut it out. 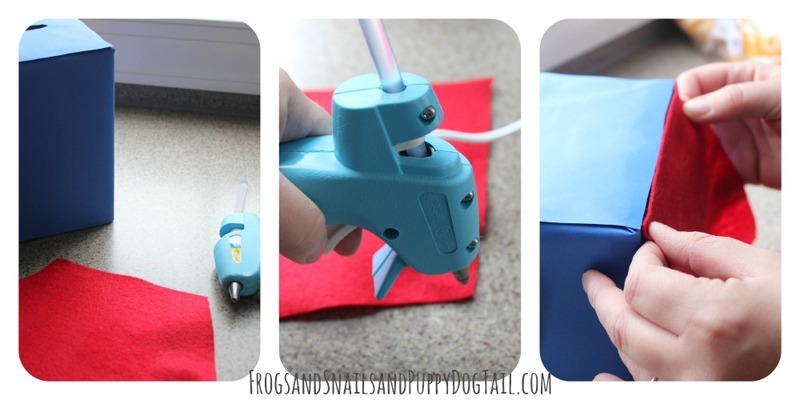 I heated up my hot glue gun and glued it on to the back of the box. I am so thrilled at how it turned out. Now to keep the other boys from fighting over it. I have a feeling I will be back to crafting at least one more for little brother to take to school too. Since we ‘love’ our readers, we’ve also got an exclusive discount code for $10 off of orders over $35, plus free shipping! Save on Plaid brands like Apple Barrel, Mod Podge, FolkArt®, Martha Stewart Crafts® and more. The code is valid through 3/31/15. See site for details.